The fourth Health and Safety Representative conference was held in late October. 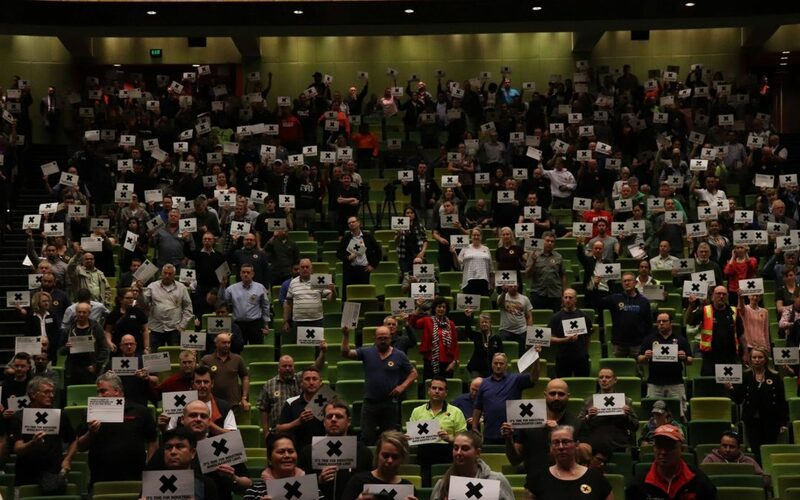 This was the fourth year Victorian Trades Hall Council worked in partnership with WorkSafe Victoria to deliver the conference. The Melbourne event was held at the Convention Centre, South Wharf, with around eleven hundred HSR’s in attendance. Rural Conferences were also at the same time in Bendigo, Morwell & Wodonga, with around 200 attendees. The ASU had over one hundred HSR’s in attendance across the State. The theme of the conference was “s58 Powers of the HSR”. The ASU had one of the largest attendances of HSR’s from a Union. The ASU had over 100 HSR’s registered for the conference and the majority of the HSR’s attended the breakout session. Worksafe Inspector Clayton Larkin was also in attendance, and gave HSR’s the opportunity to ask any questions they had with regards to Health & Safety, which included Powers of the HSR, Legislation, Variations, Bullying, Harassment, and Training. Overall this was a fantastic session. Starting a conversation with their OHS Management about their requirement to consult under s35 & s36 of the Act. Ensuring that the Incident Reporting process is refined and staff would be given training on how to complete Incident Reports and the follow up process on these reports. Generating a report for the Intranet about how great the HSR conference was and what she had learnt on the day. Encouraging dialogue around WHS and reminding staff of who their HSR’s are. Request regular HSR Committee meetings as per Legislation. The ASU is already looking forward to the 2019 conference and hopes that all HSR’s from all Employers across the state are able to attend.